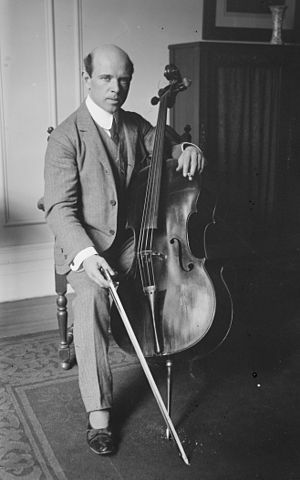 Pablo Casals was a world famous cellist and composer. I like this quote because I think it is true that our perception of age changes as we get older. I once had a patient I visited when I worked as a Home Health Nurse. She was 97 years old at the time. She was living in a Nursing Home and one time she said to me about her fellow residents, ” They think they’re old, but they are young. When I was their age I could do a lot of things.” The other residents were in their 80s. How do you think about age and aging? This entry was posted in Blogging, Blogging Community and tagged ageing, Pablo Casals, Silver Threading Writer's Quote Wednesday on January 14, 2015 by Deborah Drucker. Thanks Colleen ❤ I liked the quote and then I followed your suggestion and looked for video. I think it is a great idea to find out more about the person who makes the quote. It was a worthwhile education for me too. I would say that many things – including our perception of old age – are relative, Deborah. I keep meeting a fellow walker in his early nineties who keeps saying, somewhat wistfully, that he wishes he were my age, yet I am bound to seem old to a lot of younger people. The music was breathtakingly beautiful; thank you. I agree with Anna. It’s all about perspective. Lovely post. Thank you for sharing. Love that you included the video so we could listen to his music and words. Your story made me smile and think of a late aunt, who when she moved into an assisted living center would visit “the old people” in the attached nursing home (some of whom were younger than her). She was in her late 80s at the time and lived to be 100.